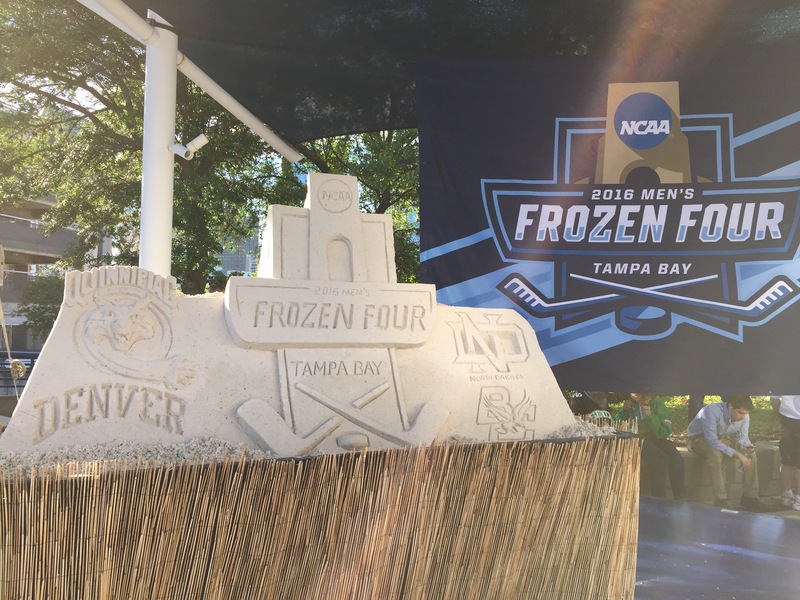 Tampa hosted the 2016 NCAA Final Four tournament known as the “Frozen Four”. 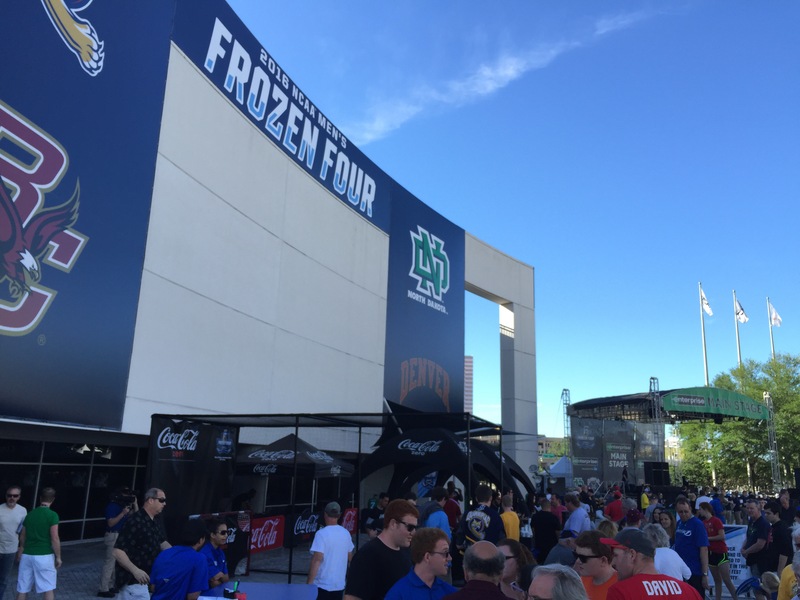 Finalists North Dakota and Quinnipiac battled in the last round of the tournament. 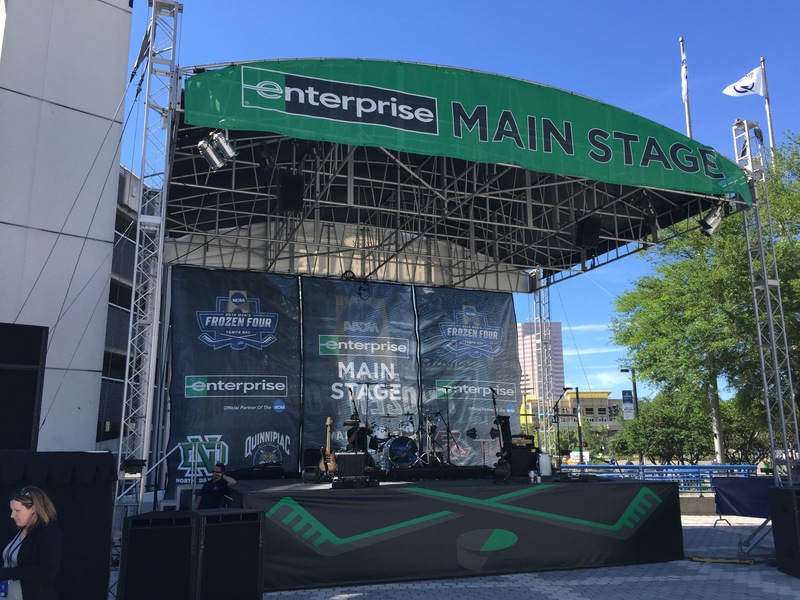 Prior to play, Tampa dance and cover band Luna Blue entertained from the Main Stage to the pleasure of tournament goers awaiting entrance in “Thunder Alley”. 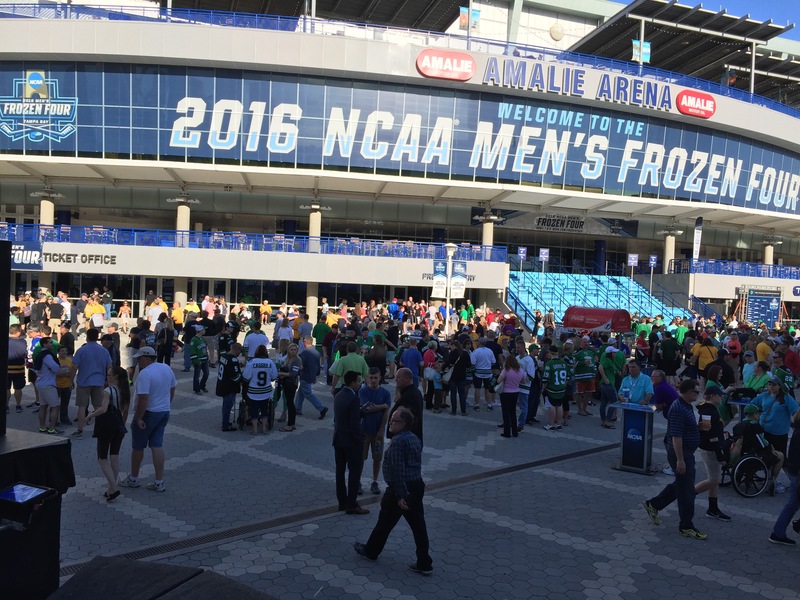 As Amalie Arena typically plays host to the NHL Tampa home team the Tampa Bay Lightening, the courtyard area between the main entrance and parking garage is known as “Thunder Alley”. 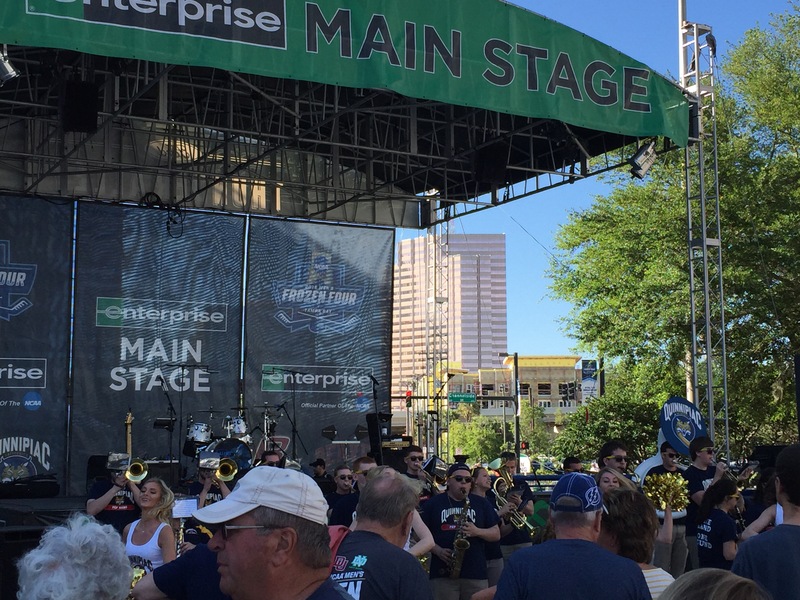 The Alley hosted not just Tampa band Luna Blue, but also the pep bands and cheerleaders of the competing schools. 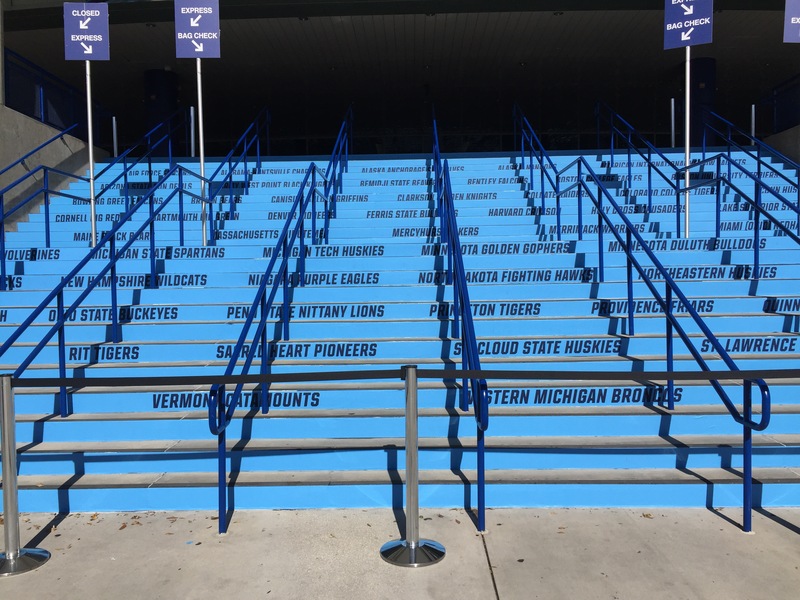 The weather was mild and beautiful, much to the delight of the students, alumni, and school faithful arriving from their northern, and less climate friendly, origins. 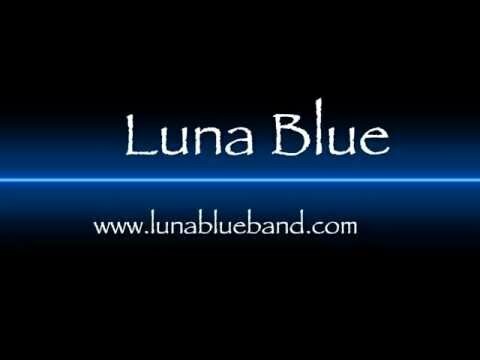 Crystal clear blue skies and bright sunshine accompanied the popular music selections of Luna Blue prior to tournament commencement. 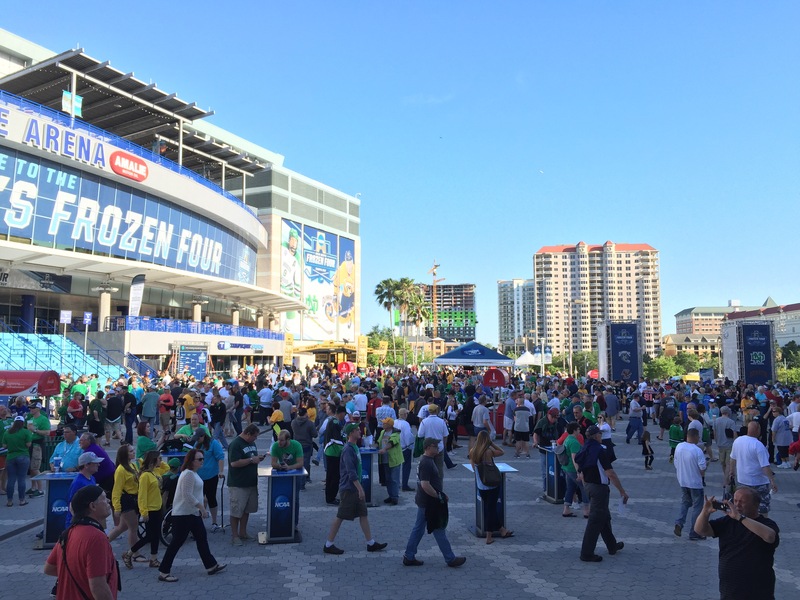 Luna Blue entertains outside Amalie Arena in Tampa, FL while an excited crowd gathers for the NCAA Final Four Hockey Tournament.